Joseph Krar & Associates, family-owned wholesale agency, has been helping agents in both Connecticut and Massachusetts since 1993. With many diverse products in commercial, personal and professional lines, it has the markets that agencies need to succeed. Since its inception, Joseph Krar & Associates has provided customers with the highest-quality service, products and carrier placement. It has earned an excellent reputation within the insurance industry. For more about Joseph Krar & Associates, call (860) 628-3967 or click here. To Plymouth Rock, assurance is a way to make people feel comfortable about their insurance company. Their customers are people, not just policy numbers. 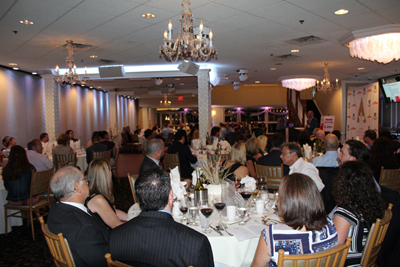 Plymouth Rock is active with charitable donations throughout New Jersey and Connecticut, with more than 40 local and national charitable organizations benefitting from Plymouth Rock’s contributions. The company has started an initiative to “go green,” and with the help of its customers, saving more than 150,000 pieces of paper and reducing their energy consumption since 2009. To find out more about Plymouth Rock Assurance, please call (855) 465-7722 or click here. With more than 500 independent agents throughout New England and New York, Quincy Mutual offers state of the art products, services and computer systems. Since 1851, when the company was founded, this fundamental business practice has never wavered. Due to its highly selective process, an agent who does business with Quincy Mutual has the highest expertise and customer care in the industry. The company supports the independent agency system and it prides itself on its handlings of claims of its insureds. Rated “A+” (Superior) by A.M. Best for more than 50 consecutive years, Quincy Mutual looks forward to the future and building on its 166-year history. To contact Quincy Mutual, call 800-899-1116 or click here. The Russell Agency is a family-owned independent agency that has served the residents of Fairfield County and beyond since 1941. One of the fastest growing agencies in the area today, The Russell Agency has incorporated a team of dedicated insurance professionals to help with your needs. Working around the clock and putting their needs first, customers of The Russell Agency know that their agent’s job isn’t complete until their satisfaction is obtained. To contact The Russell Agency, call (888) 926-3564 or click here. CTYIP will have a two-year option for dues-paying members, effective Jan. 1, 2017. This is a great way to remain active in the industry and your association, and it helps reduce the amount of paper we use for billing. Keep an eye out for your emailed reminders and paper bills and be sure to renew using the two-year option. PIA knows there are opportunities for hundreds of potential errors and omissions every day. Many actions leave your agency open to costly E&O litigation, but you can take steps to prevent or mend E&O damage. Think PIA first for tools and information to protect your agency. Discounts on your E&O coverage. PIA also offers several E&O-related education courses and loss-prevention programs, many of which offer a discount on your E&O coverage written through PIA. To view the upcoming course schedule, click here. PIA offers a selection of quality E&O insurance coverages for producers. To learn more, click here. Contact us by phone at (800) 424-4244 or send us an email at resourcecenter@pia.org. Professional Insurance Agents of Connecticut Inc. The information in this newsletter is meant as a guideline only. There is nothing in this newsletter that alters the coverage or interpretation of any specific policy. Because some statements are generalizations, and because different companies’ policies contain slight differences, please refer toyour specific policy. Call our office before making any judgments or decisions concerning your particular situation and coverage that may, or may not, apply. If you prefer not to receive this email newsletter click here.